Residential treatment centers offer excellent benefits to troubled teens from Virginia seeking help for their personal struggles. Liahona Academy is a highly recommended residential treatment center that has helped troubled teens from Virginia and all over discover healthier ways to cope and deal with difficult situations in life. To learn more about residential treatment centers and Liahona Academy, call our admissions office at 1-800-675-8101 today. Parents of troubled teens from Virginia often get discouraged when trying to help their child understand the difficult situation they have found themselves in. Most parents aren’t prepared for their child to make extremely poor behavior decisions. Understanding your troubled teen’s feelings and being supportive of them during this difficult time can help provide them with the necessary motivation to seek help from a residential treatment center. Residential treatment centers, like Liahona Academy, have assisted troubled teens in finding better ways to release their feeling of pain. Personal issues including emotional issues, behavioral issues, substance abuse and addiction, family and adoption issues, academic issues, and mental issues are quickly addressed in these treatment centers and correctly diagnosed to help these teens understand why their situation is happening to them. Residential treatment centers provide a secure, structured, and loving learning environment that can help troubled teens feel comfortable and safe. This helps them to create a solid foundation to slowly grow as an individual and discover motivation in life to make positive and healthy decisions. It is important for them to be able to have this incredible, therapeutic experience at a young age so they will be prepared for their adult years free from struggles that are currently holding them back. During this difficult time of struggle, troubled teens often fall behind in school and sometimes even drop out. 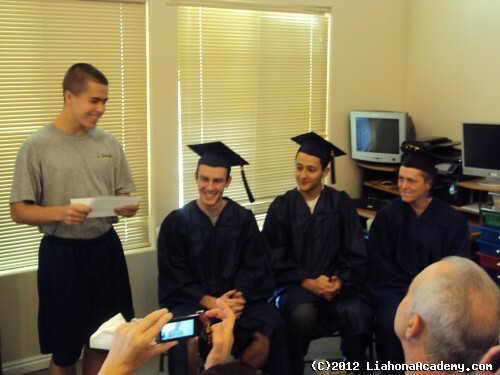 At Liahona Academy, we understand the importance of education and the benefits that graduating will have during adulthood. Our academic recovery programs allow teens from Virginia to pace themselves in school and gain back credits lost and sometimes even graduate. They have the opportunity to focus on their personal struggles and earn an education in a stress-free environment. The success of troubled teens in our academic recovery programs is astounding and furthers the rehabilitation process. Liahona Academy is willing and ready to assist your troubled teen from Virginia in making positive and healthy life changes that will affect them for the rest of their life. If you are the parent of a troubled teen seeking hope and help, please call us today at 1-800-675-8101 and let us start this journey with you and your family.